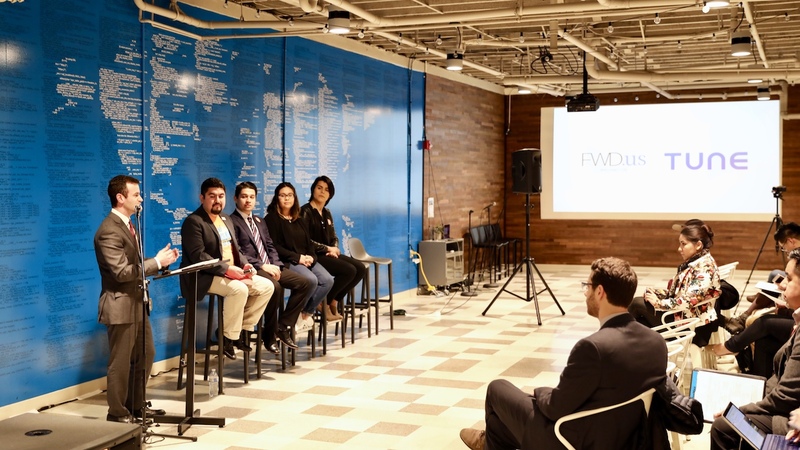 Yesterday, FWD.us and TUNE hosted two panels on the issue of national immigration policy, specifically Deferred Action for Childhood Arrivals (DACA). Panelists included local legislators, business leaders, and four Dreamers who currently live and work in Washington state. Discussions focused on DACA-related issues: what it is, and who it affects; national and state policy status; and how local tech businesses can support the issue. The discussions also highlighted the devastating impact that restrictive, temporary immigration policies can have on individuals and communities, and the importance of finding a permanent solution for individuals who are temporarily protected by DACA. DACA is a policy that allowed individuals who came to the United States as minors, but do not have legal residency status, to request deferred action from deportation. If they met a list of requirements and were approved, recipients became eligible for a renewable work permit. In some states, DACA also allowed recipients to get driver’s licenses, open bank accounts, purchase homes, and be eligible for in-state tuition. It did not offer a path to citizenship, and was subject to renewal every two years. The policy was implemented through executive action by the Obama Administration in June 2012, after the DREAM Act failed to pass Congress — the reason many DACA recipients are called “Dreamers” today. There are approximately 800,000 DACA recipients in the U.S.
DACA became a national hot-button issue when the Trump Administration revoked it last year, announcing that the policy would end on March 5th, 2018 unless renewed by Congress. This was the main issue at the heart of last week’s government shutdown, with Democrats negotiating for legislation, and Republican majority leaders committing to bring it to a vote. As the panel was underway yesterday reports surfaced of a new immigration proposal from the current administration, but as of today, there is no permanent solution. For the DACA recipients on the first panel, this uncertainty has created barriers to progress and increasingly threatens their personal and community well-being. Almost 18,000 Dreamers live in Washington alone. 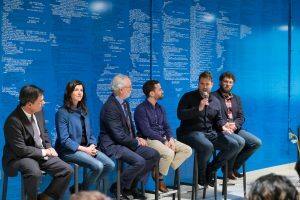 They contribute to technology, business, and education communities in Seattle and around the state. Those contributions are now in jeopardy. “We want to make this community a better place,” said panelist José Vasquez, the director of leadership development and programs for the Latino Community Fund, and a DACA recipient. “We just want the opportunity to continue doing that.” José paid his way through college and owns a car and a house, which he pays taxes on. FWD.us estimates that Washington will lose $1.1 billion annually in GDP if Dreamers are deported or forced to live in the shadows. They contribute over $51 million in state and local taxes every year; Washington would see at least $19 million of that disappear, too. In addition to everyday worries and decisions, Dreamers are facing a looming March 5th deadline that threatens to put their lives here in jeopardy unless Congress can pass new legislation. Beyond the quantitative impacts, there are qualitative repercussions as well. Without a solid foundation of trust and security, it’s difficult to grow a healthy community that contributes to the economy and produces talented individuals for the workforce — something the tech industry desperately needs. 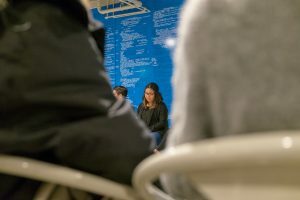 Now that priorities for removal have been rescinded, immigration enforcement “has been escalated to a drastic measure that is impacting people in our community,” one panelist shared. While DACA wasn’t perfect, it made things better. But now everybody is in limbo, she said; fear and uncertainty are tearing communities apart. Another panelist noted that “the biggest impact DACA had was on the mental and emotional well-being of my family.” Her parents slept better at night knowing she wouldn’t be deported. The panel called for quick action on immigration policy and permanent protection for Dreamers, the same bipartisan support shown by 70-80% of Americans. Tech companies are one of the biggest supporters of this issue, and for good reason. Local political and business leaders discuss DACA legislation in Seattle. From left to right: Miloscia, Farrell, Newhouse, Oppenheimer, Hamilton, Bills. As a global technology company with employees in nine different countries, TUNE values (and relies upon) diversity and inclusion. Immigrants have made enormous contributions to our industry: first- and second-generation immigrants helped to found 60% of the most valuable tech businesses in the U.S. Apple, Google, Uber, PayPal, Amazon, IBM, Facebook, eBay, Stripe, Slack — the products and services we use every day wouldn’t exist, if not for immigrants. In 2015, a quarter of all U.S. STEM workers were immigrants. We know firsthand that finding talent in competitive technology fields is becoming more costly and difficult. Today approximately 40% of tech workers in Seattle (where there are an estimated 170,000 open tech jobs) are immigrants; narrow it down to software development workers, and that number rises to over 50%. Looking ahead, restrictive travel bans and immigration policies will block paths to assembling talented, diverse teams within STEM careers and make it difficult to build valuable, diverse companies. Washington’s economy would benefit from policies that attract the world’s best minds, rather than making it harder to live and work here. This is especially applicable to the Dreamers who grew up and were educated in communities around the U.S., with the expectation they would continue to live, work, and give back to those economies. 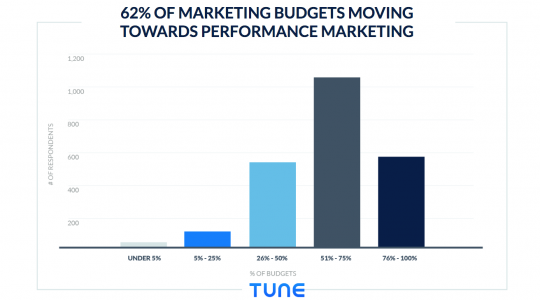 Supporting the communities in which we operate is one of TUNE’s core values. Cities and communities such as Seattle, San Francisco, and other tech and innovation hubs are likely to face devastating economic and cultural repercussions if immigration policy supporting the Dreamers were to end. 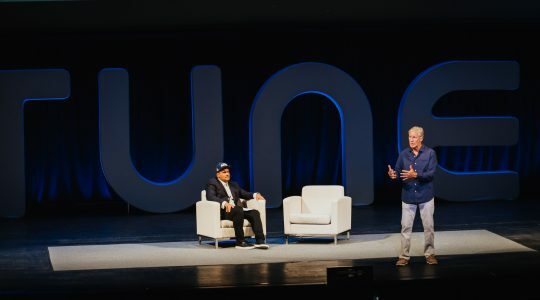 TUNE is full of passionate people who desire to help the dreamers among us, and are willing to advocate for an environment that values inclusion, diversity, and opportunity. The clearest path to making this possible is for everyone to make their voices hear and contribute to the conversation. To find out how you can support Dreamers in your community, visit dreamers.fwd.us for information and tools to help make your voice heard. Thanks to all of our speakers for taking the time to share their stories and ideas, to FWD.us for co-hosting, and to KCPQ/Q13 FOX for including the panels in a video recap of yesterday’s immigration news. You can watch the two-minute clip below. 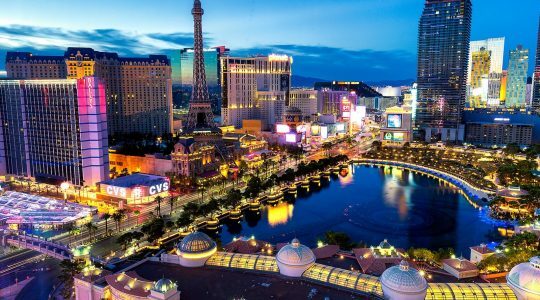 Meet the HasOffers by TUNE Team at Affiliate Summit West 2019!